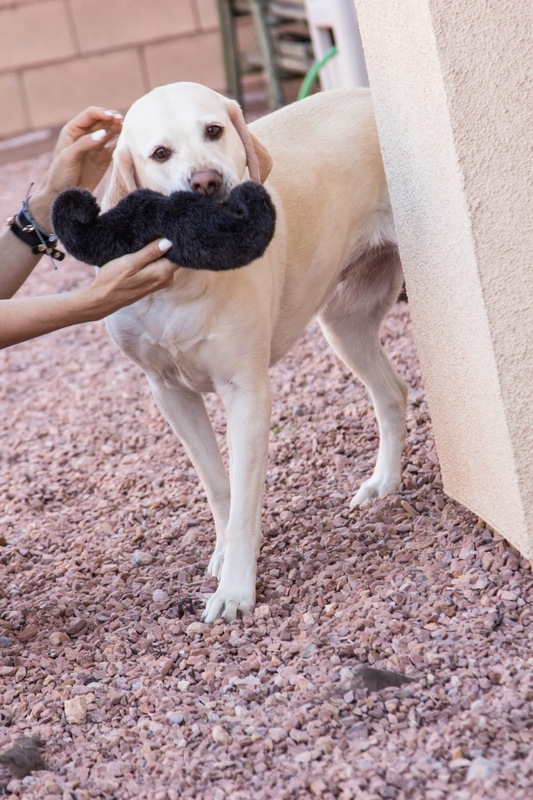 My labs mustache you a question? 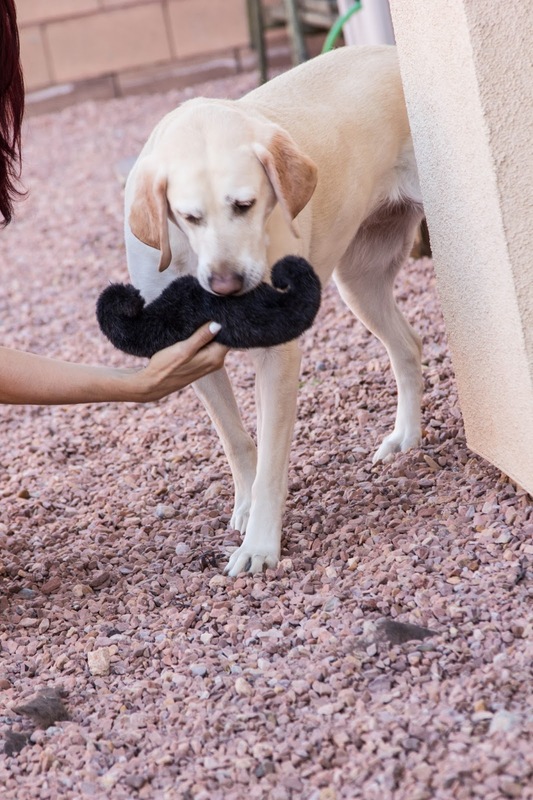 These mustaches are from Marshalls! haha I seriously had to get them...and I have been trying to spend more time with my babies and well these were just too cute to pass up. They loved them and every time they pick them up I laugh just a little! Love getting my dog toys at Marshalls along with treats, beds, and their wooden food bowls! 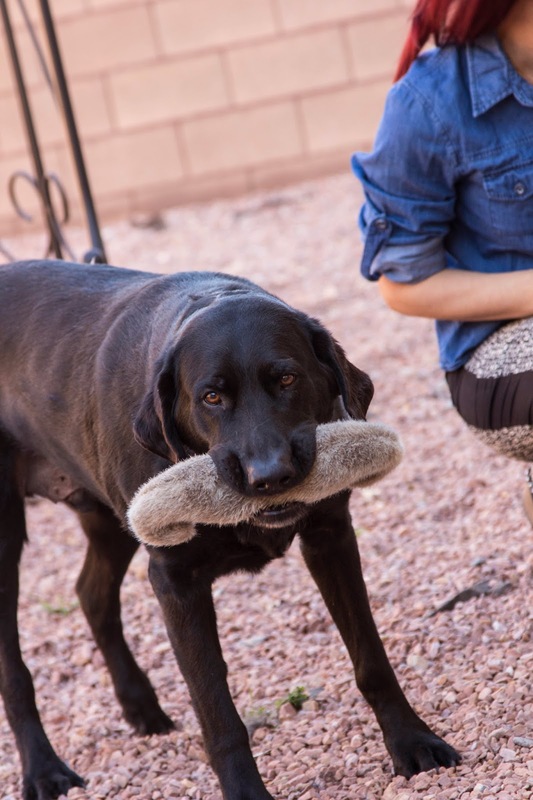 Do you guys have a favorite place to get your dog toys? Help my dance company reach out goal! You can buy apparel HERE and support the madness!! Follow on Facebook for more about us! That's sweet that you adopted Sophie and Sampson together. 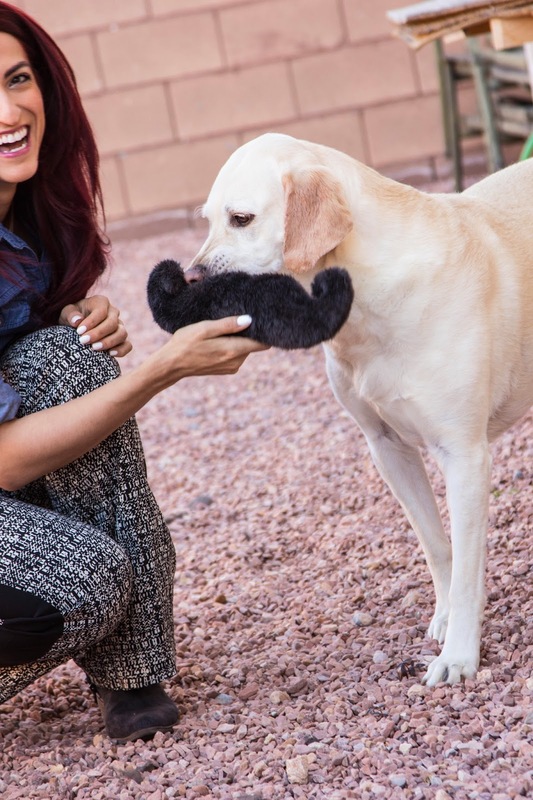 They look well adjusted, very playful, and funny in the photos posed with the mustaches. 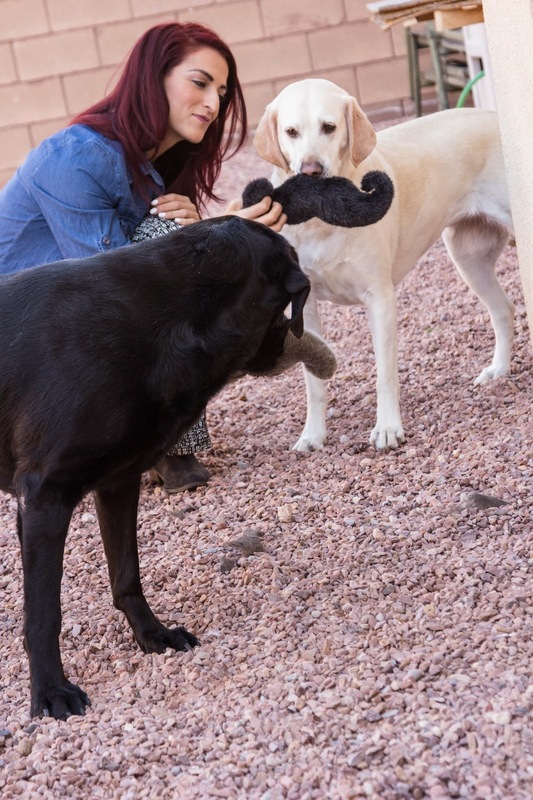 I like the photo od Sophie and Sampson looking at you posing with a giant mustache too. 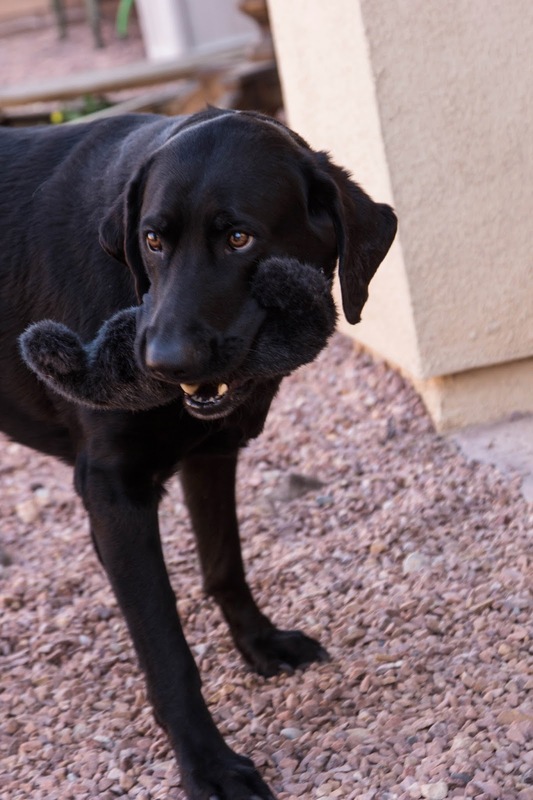 I don't have a dog but I know someone who's gotten dog toys from Petsmart before. I like your look of your very blue denim shirt and the the print of the pants you're wearing in these photos.